STAR BOXING’S SLUGFEST AT THE SUN WEIGH-IN RESULTS FIGHT NIGHT TONIGHT! Last night, Joe DeGuardia’s Star Boxing presented another rendition of the “Slugfest at The Sun” series at the Mohegan Sun arena in Uncasville, CT. 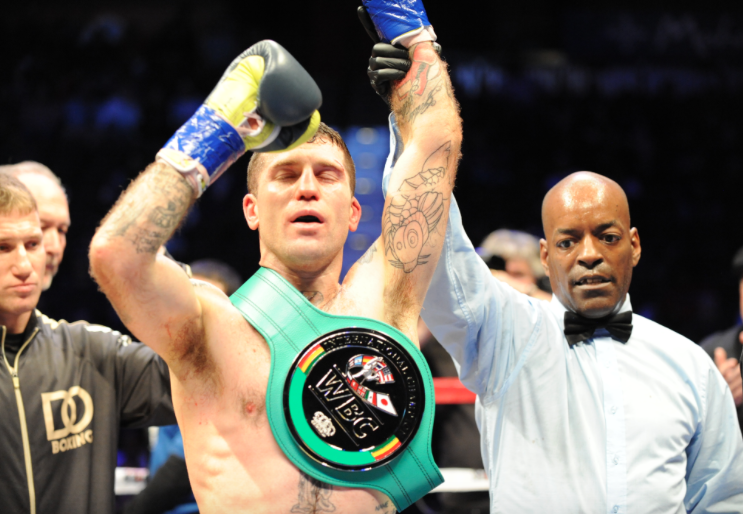 The card was headlined by Crusierweights Constantin Bejenaru and Thabiso Mchunuwho fought for Bejenaru’s WBC International Cruiserweight title in a 10 round bout. 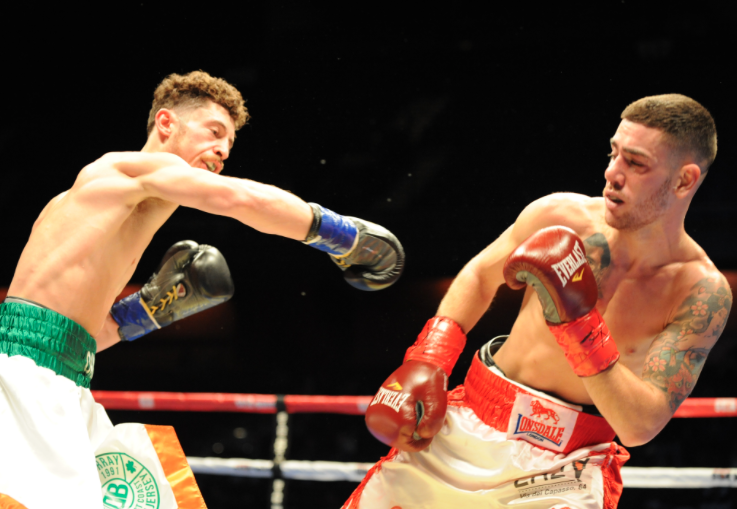 The semi-final saw a shocking result as previously undefeated Queens, NY nativeDaniel Gonzalez suffered his first defeat as a pro at the hands of Framingham, MA native, Danny O’Connor in a bout scheduled for 10 rounds with the vacant WBC Interntional Silver Super Lightweight title at stake. The fight was a barn burner from the opening bell as both fighters traded freely much to the delight of the crowd. 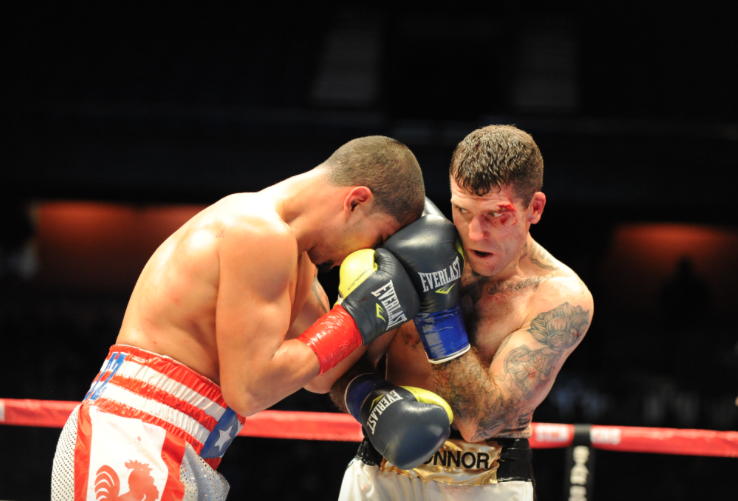 O’Connor had the edge in the 1st round but Gonzalez opened a nasty cut over O’Connor’s left eye in round 2 as both fighters continued the torrid pace. Round 3 saw Gonzalez picking up where he left off in round 2 until a perfectly placed left hand by O’Connor found its mark on Gonzalez dropping the Queens native who gamely arose but was in no shape to continue forcing referee Steve Willis to call a halt to the action at 0:39 seconds of the 3rdround. O’Connor ups his record to 29-3 11KO’S and in the process wins the WBC International Silver Super Lightweight title while Gonzalez drops to 14-1-1 5KO’s. the 6th and final was coming to an end the crowd was in an absolute frenzy. The 2 fighters received a well deserved standing ovation as Reis came away with the unanimous victory by scores of 60-54, 60-53, and 59-55. 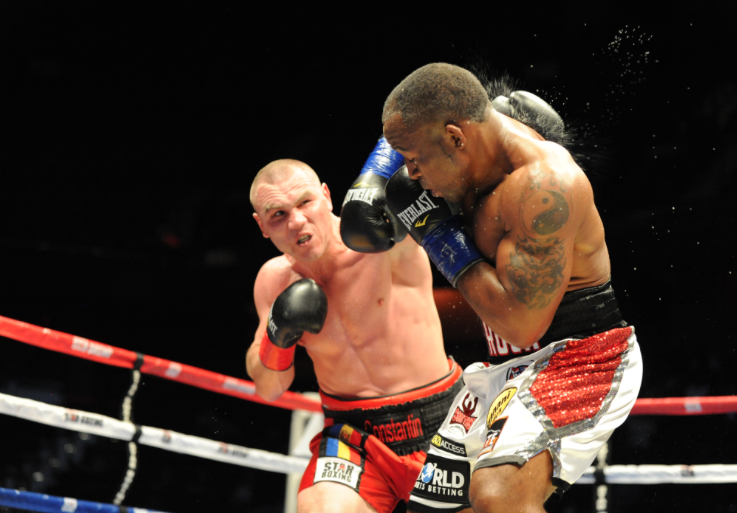 Reis improves to 13-6-1 4KO’S while the tough Woodard drops to 4-9-3 3KO’S. Mohegan Sun Arena is now ranked consistently among the top venues in the world according to Billboard Magazine, Pollstar and Venues Today. It has won “Casino of The Year” at the Country Music Awards in 2008 & 2010 and in 2013, was voted “Arena of The Year” at the G2E Global Gaming Conference in Las Vegas. Mohegan Sun Arena was also ranked among the top 10 arena venues in the nation for 2014, regardless of size. In 2015, Mohegan Sun took home the IEBA award for “Casino of the Year.” Mohegan Sun also won “Casino of the Year” in 2 categories at the 2013 & 2016 Academy of Country Music Awards. For more information on concerts and other great events, visit Mohegan Sun. For information on this week’s schedule, call the Entertainment and Special Events hotline at 1.888.226.7711, ext. 27163.ace article copy here. Be sure to make the articles short and concise as people tend not to read much more than a couple of paragraphs. Place article copy here.